Good news about the fight against cancer in the USA: the deaths caused by this disease, since 1991 have fallen by 26% according to the American Cancer Society (ACS). 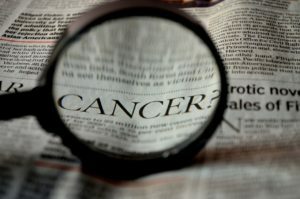 This excellent result is determined by some factors like the reduction of the smoking habit (with public health campaigns accompanied by a rise in tobacco taxes) and an increase in prevention with various screening tests (in particular breast cancer mammograms and blood tests for prostate cancer but not only). The reduction in the death rate can be subdivided for these different types of cancer: Lung cancer (dropped 45% from 1990 to 2015 among men and 19% from 2002 to 2015 among women) however, it remains first among the deaths caused by cancer. Female breast cancer, decreased by 25% from 1989 to 2015). Prostate cancer, decreased by 52% from 1993 to 2015), Colorectal cancer (dropped 52% from 1970 to 2015). Unfortunately, despite the good result, there is a disparity in mortality between different racial groups. the mortality rate remains high among African-Americans where the deaths in 2015 were 14% higher than White-Americans. The four types of cancer mentioned above: Lung, Breast, Prostate and Colorectum are also those with the greatest diffusion in worldwide (2012 data). These positive results certainly give hope, but it is obvious that we must always improve more and more in the fight against this scourge. We also hope (after the positive news from the USA), to reach positive data also on a global level.